When you're 30 meters underwater, exploring the world Nemo got lost in, the quiet is so heavy that you can almost feel the ticking of your watch, like a second heartbeat. I know you've felt that absolute calm beneath the ocean's floor while flitting around from colorful coral to weird-looking clown-fish, losing the passage of time with each new discovery. Water Resistance: Obviously, your watch needs to be able to survive getting wet, but you also need to make sure it can handle the water pressure at the depths you’ll be diving. To meet ISO 6425 requirements, the watch needs to be rated at depths of at least 100m. Type of Bezel: The bezel is the outer ring around the watch face that can be used to manually track the amount of time you’ve been in the water. ISO 6425 requires a unidirectional bezel, meaning it’s only capable of moving counter-clockwise so if it’s accidentally bumped, it won’t show that you’ve been in the water for LESS time, only MORE time. This is a major safety concern, so it should be non-negotiable when you’re shopping for a watch. Luminous dials: It can be quite dark underwater, even with a dive light. Luminous dials ensure you’ll be able to see the hour and minute hands, at the very least. All of the watches in this list meet ISO standards, so they're rated according to other factors such as value, additional depth rating, and optional features. Whether your style is sporty or elegant, there’s no reason to spend more than $500 on a dive watch. Depending on where you purchase this watch, it can easily run over $900; however, World of Watches offers it for only $424.95. Pros: The Luminox Evo Ultimate Navy Seal uses a unique type of illumination, called Tritium Gas, causing them to glow at up to 100 times brighter than standard watches. It is specifically advertised for military use on some websites, and reviewers have mentioned the watch holding up under extreme conditions, such as earthquakes and gunfire! The crystal is anti-reflective, ultra-scratch-proof Sapphire. 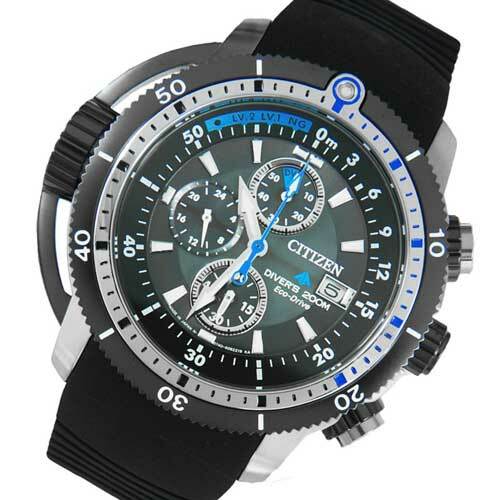 As the title implies, the watch also has a chronograph function. Cons: Like a few of the other watches on this list, it has a rubber band, which some customers don’t prefer. The face looks a little cluttered with all the numbers and chronographs and the date. Purchase the Luminox Evo Ultimate Navy Seal from World of Watches. 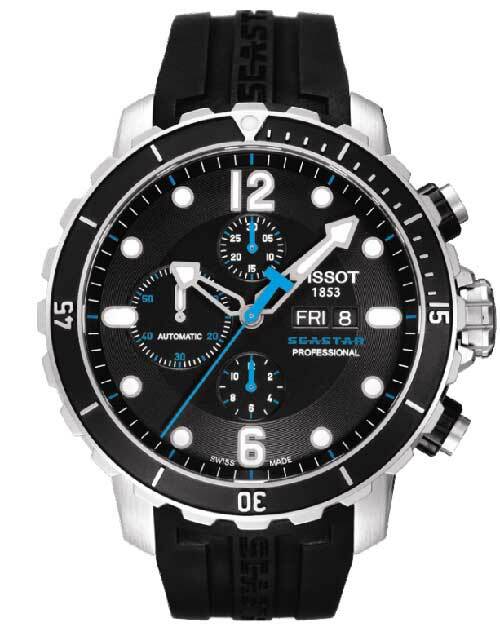 The best price we found for the Tissot Seastar 1000 was at JomaShop for $439. Pros: The Seastar 1000 is a great looking watch, with a clear face that displays the 12 o’clock position in Arabic numerals, and all the other hours are marked with dots. 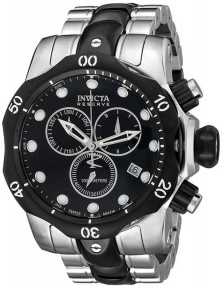 It has the anti-reflective, ultra-scratch-proof sapphire crystal, and a stainless steel bezel with a black top ring. It comes in multiple colors and styles, though the price on these other varieties may be higher. Cons: Again, it has a rubber band, which makes it look more sporty than dressy. The knobs on the side of the face are a little large and clumsy, so some reviewers have complained that they keep accidentally changing the time! Purchase the Tissot Seastar 1000 from JomaShop.